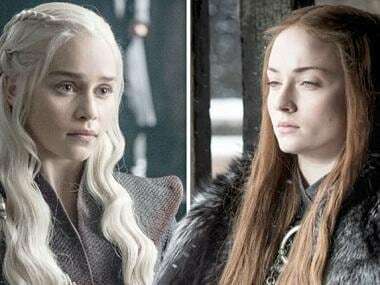 The cast of Game of Thrones attended the eighth and final season’s premiere in New York City in their fashionable best on Wednesday. 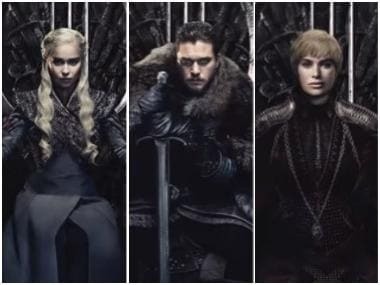 Dressed to the nines to celebrate the final six episodes of the series, Gwendoline Christie, Sophie Turner and Emilia Clarke all got fans talking. As fans anxiously await the premiere, Gwendoline Christie (who plays Brienne of Tarth) stunned everyone as she made a statement with her high-fashion penchant in her Iris van Herpen gown from Spring 2019's runway. The six-feet-three-inches-tall actress radiated in the flowing fiery gown with ethereal print from the designer’s Shift Souls Spring 2019 couture collection. Her makeup was soft and minimal while her blonde locks were beautifully curled and parted to the side. Twitter burst into praise for her red carpet look with several reacting to her gorgeous outfit by calling her a goddess. Brienne is easily one of the most loved (still-alive) characters from the fantasy drama. 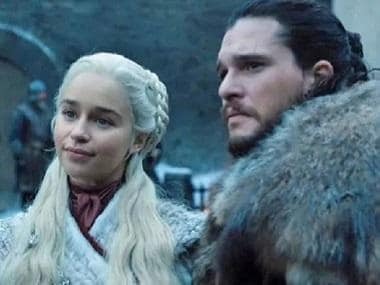 Game of Thrones' final season will release on 14 April.